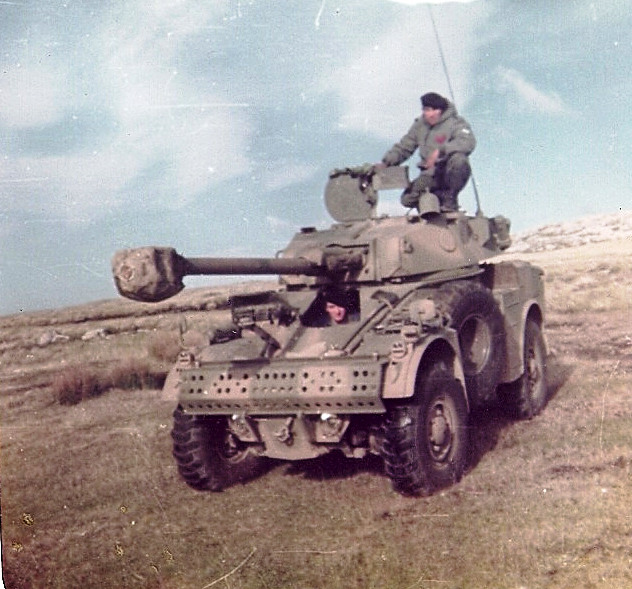 Hi All, I start with my new job, It will be a Panhard (AML-90) in Mavinas / Falklands by 1982. 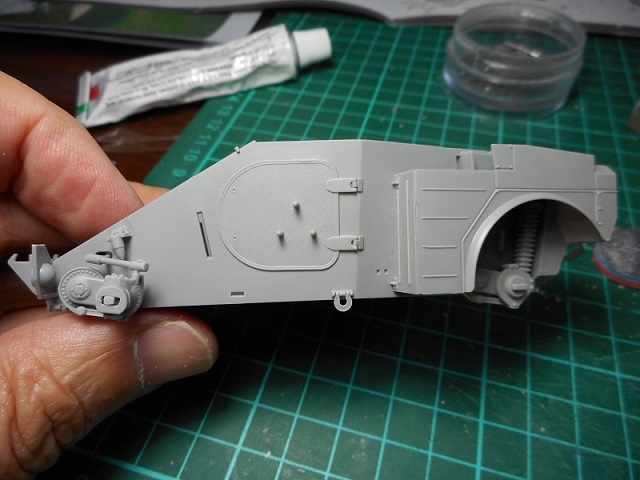 The model is a Takon in 1/35, the numer of the kit is the 2077. 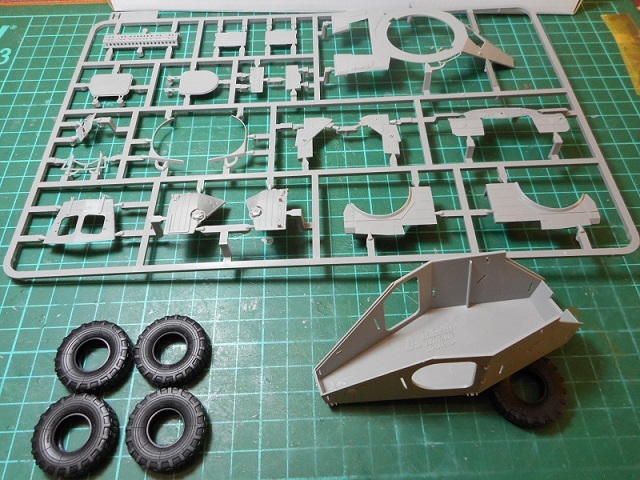 The kit that I saw is simple, with few pieces, with out interiors. My Idea is make it with a patrol in Port Argentino. 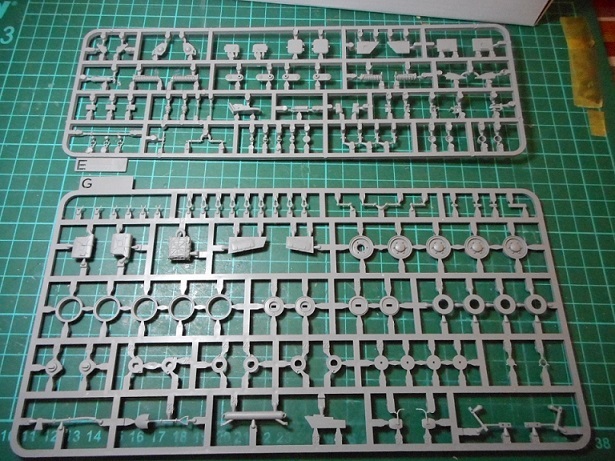 I'm looking forward to following this build. Thanks also for posting the images. Well, the first steps for the moument, the pieces are simple to asemble, you must chose the correct version, because the model dosen`t coincide with the Argentinian version, its a mix between the two versions of the model. Interesting... do you know what is the box art meant to represent? Who is operating the vehicle and what is the plane flying in the background? The aircraft looks like a Harrier but it's difficult to tell with the size. "That's some catch, that Catch 22." Seems quite obvious that it's an Argentina AML in the Falklands based on the terrain depicted and the camouflage colors, and that the aircraft is a Harrier. That's what I thought, but then Omar said this: "the model dosen`t coincide with the Argentinian version, its a mix between the two versions of the model." ...and most likely his right. 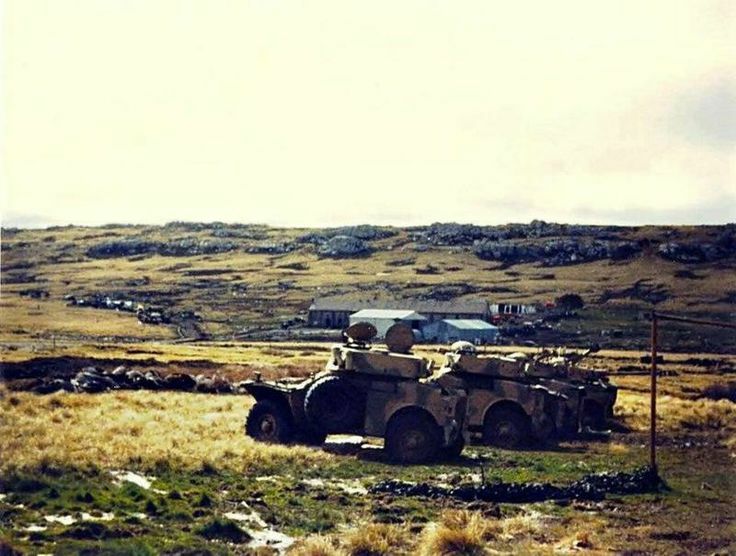 I have plenty of pictures of Argentine Army AML-90s on the Falklands (courtesy a member of ours here on AR), however none of them seem to have the exact same configuration (nor the same camouflage pattern for that matter...) as the kit’s. 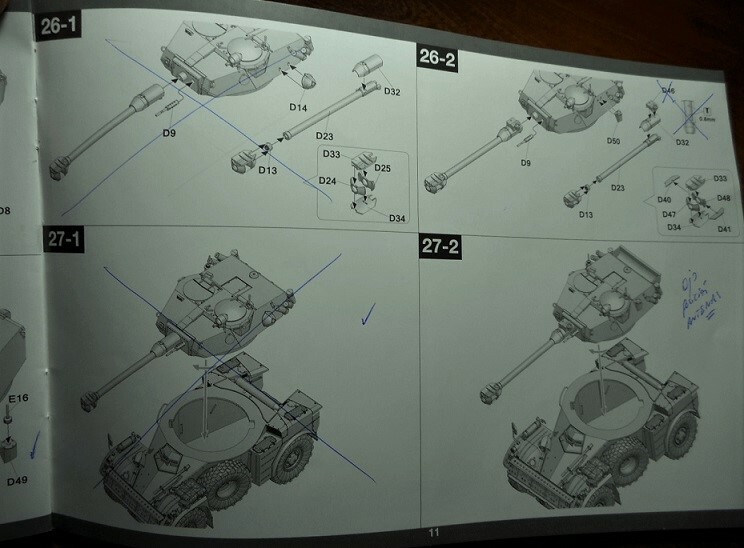 What is even more puzzling, the Argentine version included supposed to resemble a specific vehicle of the Falklands/Malvinas war...Takom’s Research Department seem to have missed something. Beyond the simple and solvable issue of the camouflage pattern what else does not “coincide” in the kit with an accurate Argentine version? 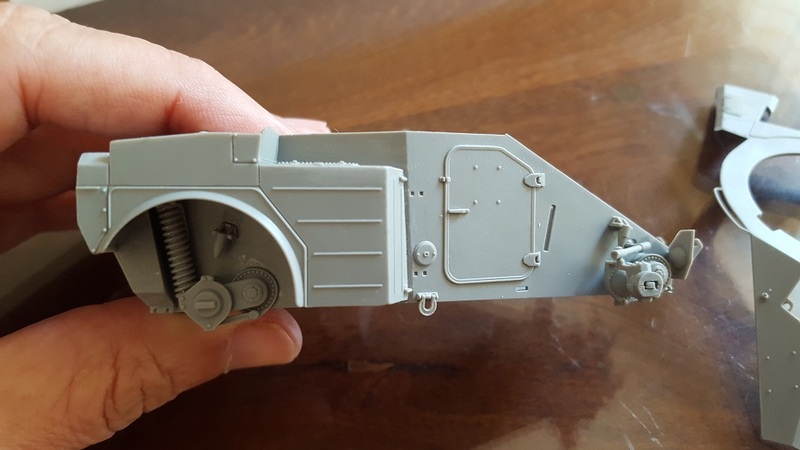 Left turret side antenna mount, turret mounted machine gun, anything else that needs major modifications? 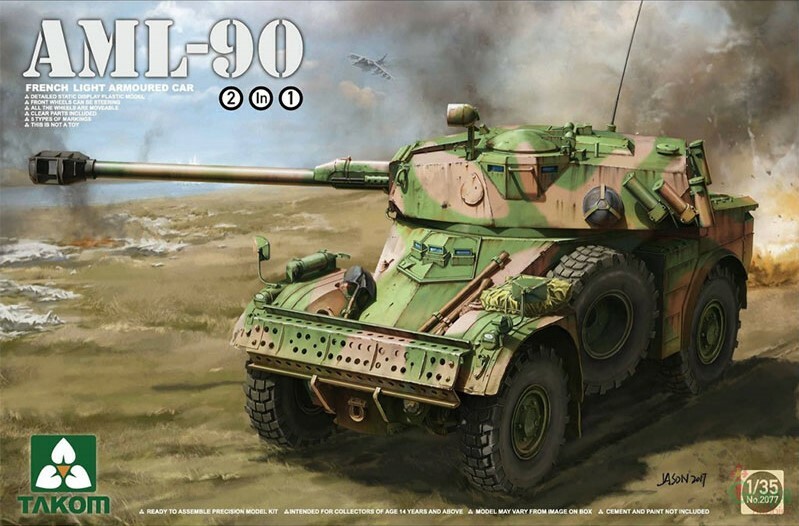 Would you be so kind to list the details that are to paid attention to that you will be adding to or removing from your AML 90 to make it accurate for a Argentine vehicle used during the war? I think I've deciphered your Xs on the instructions so I will try to spell it out. 1. Follow step 13-2 and not step 13-1. Are these some type of air filter or exhaust grills? 2. 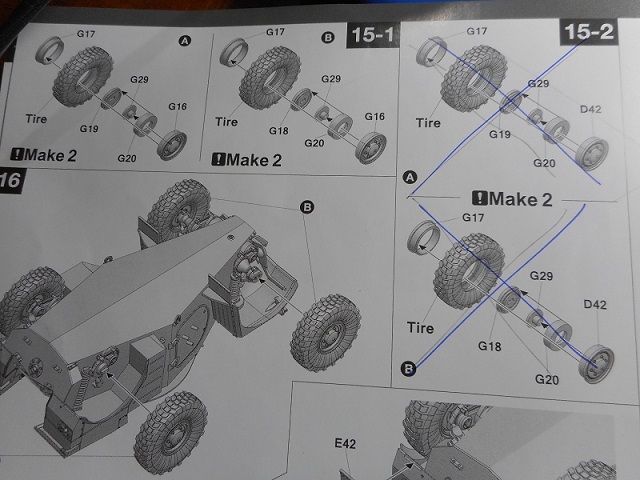 Follow step 15-1 instead of step 15-2 for the wheel assembly. It appears the wheel hubs are different in both steps. Any other explanation? 3. Drill out the holes as per step 19-2 instead of step 19-1. Any explanation? 4. 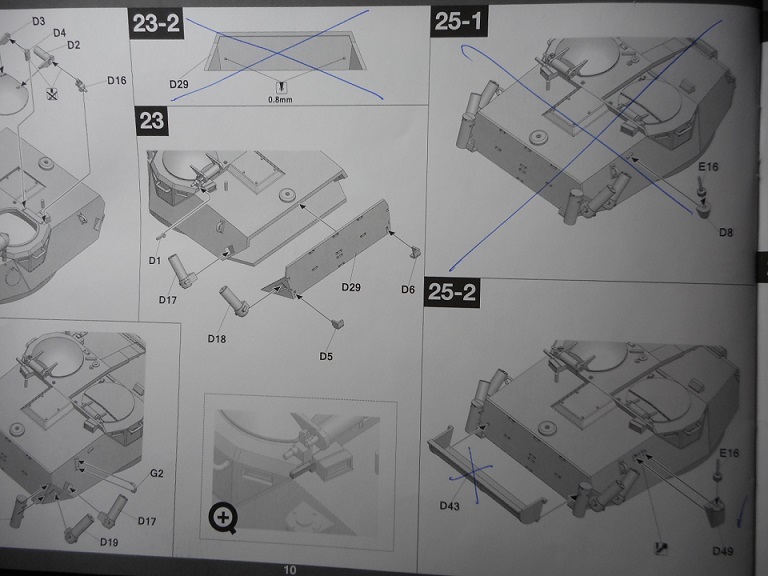 Follow step 26-1 for main gun assembly but leave off part D46 and don't drill the holes in part D32. Is that correct? 5. Step 23-2 don't drill holes in part D29. 6. 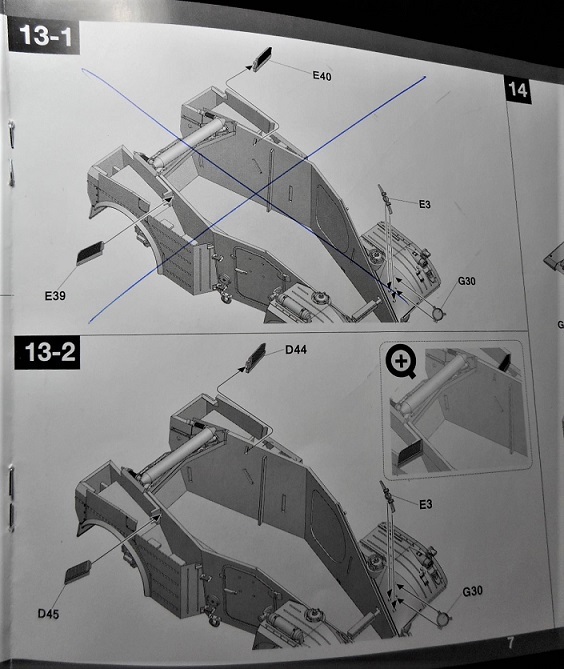 Don't use the antenna mount and base (E16 and D8) indicated in step 25-1. 7. 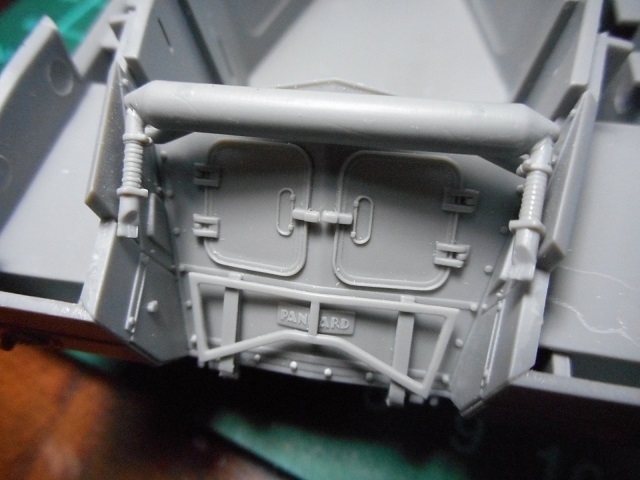 Use the antenna mount and base (E16 and D49) indicated in step 25-2 and leave off the turret bin part D43. 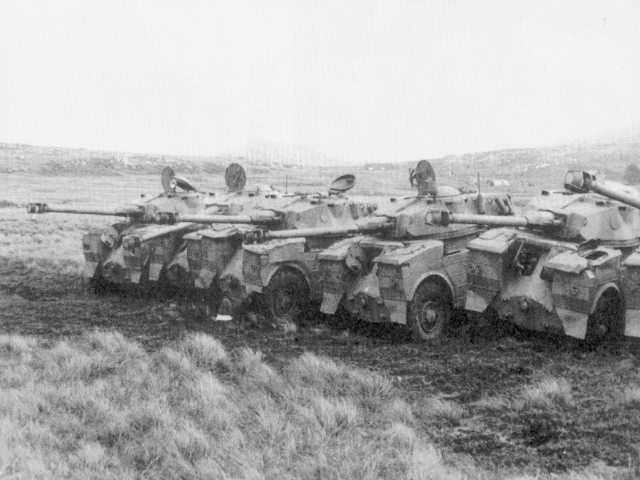 It appears in images of AML 90s on the Falklands that a second identical antenna mount and base should also be on the left side of the turret. 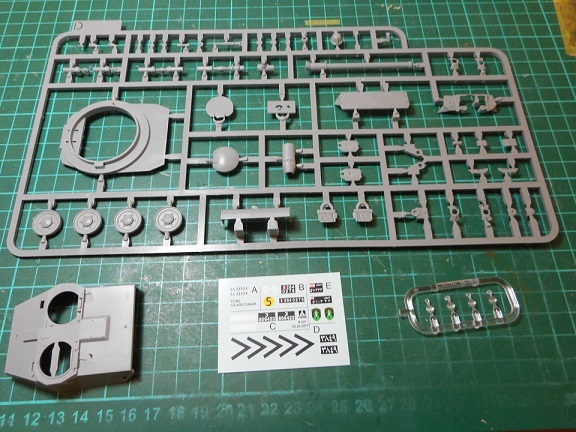 Is that second antenna mount and base included in the kit as extra parts? Is the mount included as Part D50? 8. 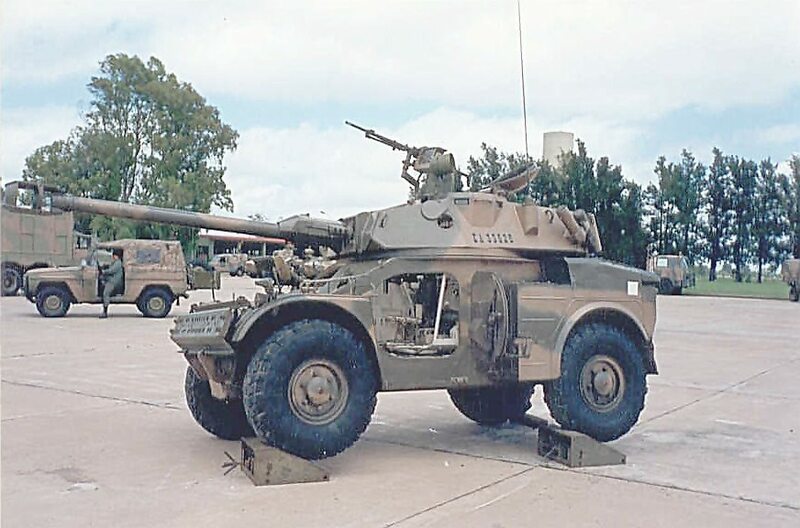 Add the missing turret top mounted machine gun and mount. 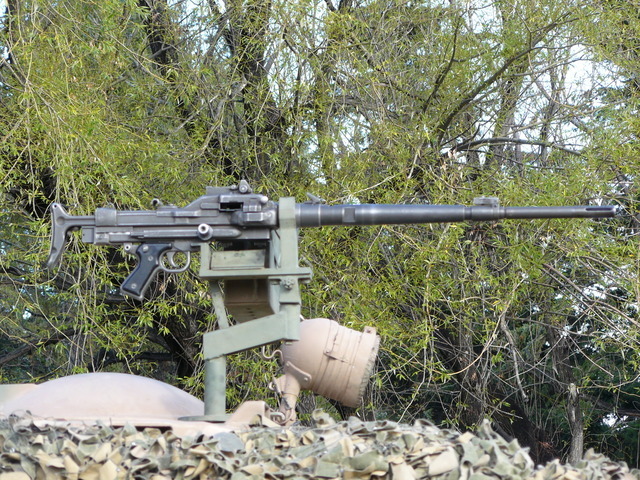 Is this a French AA-52/NF-1 machine gun? 9. 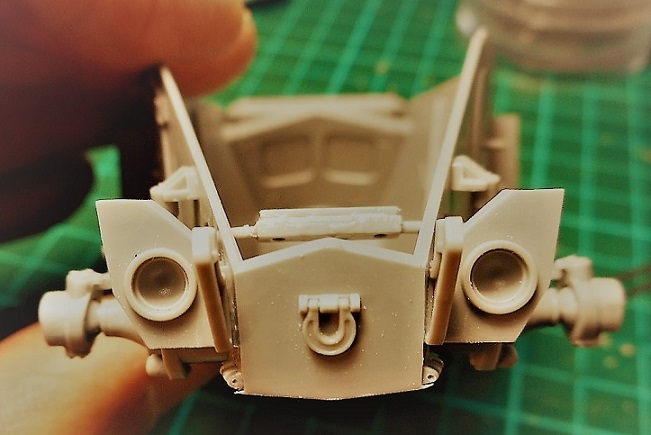 In step 26-1 the straps on part D14 should be placed on the right front side of the turret. These photos bring back memories as I was billeted in 'The Globe' Hotel when we marched into Port Stanley on the day of the surrender and recall these vehicles all parked up in a line. 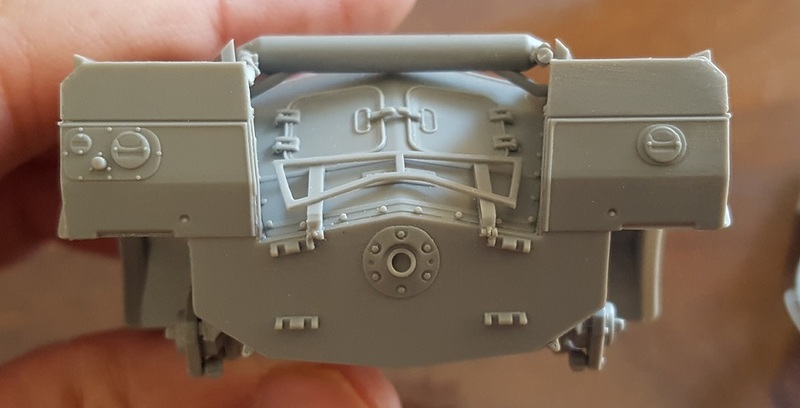 I look forward to seeing the kit built up and good work so far. 7. 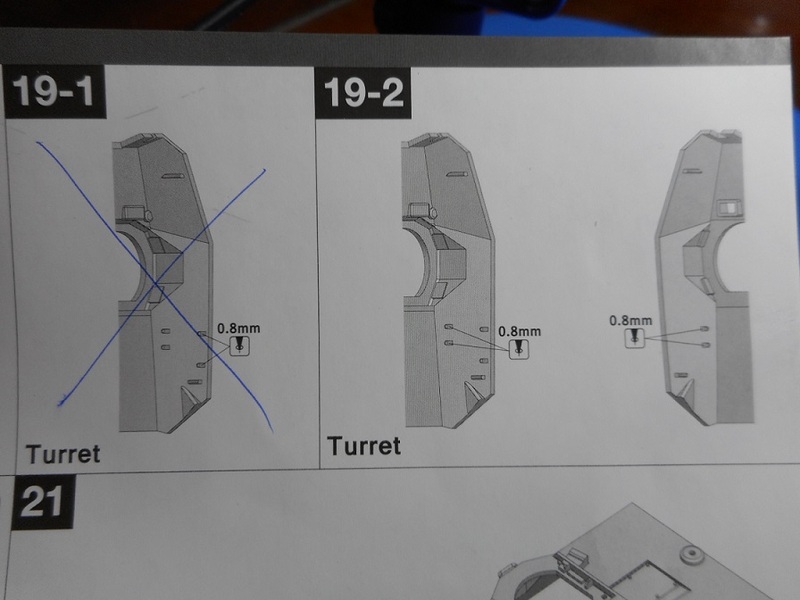 Use the antenna mount and base (E16 and D49) indicated in step 25-2 and leave off the turret bin part D43. 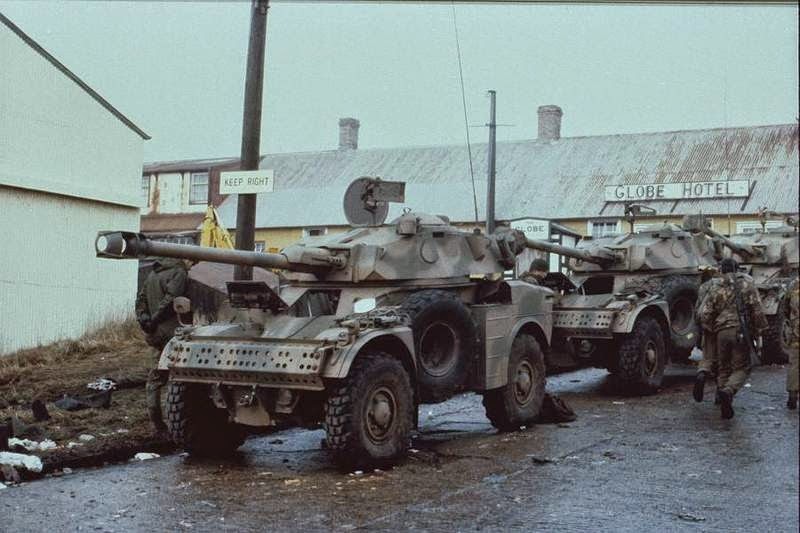 It appears in images of AML 90s on the Falklands that a second identical antenna mount and base should also be on the left side of the turret. 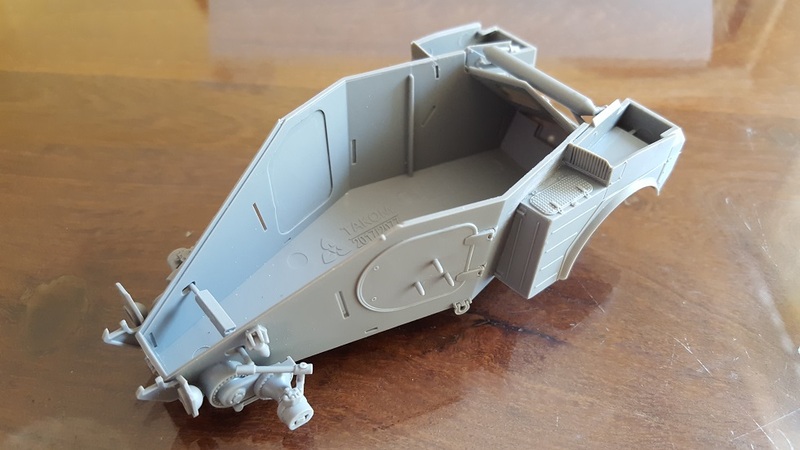 Is that second antenna mount and base included in the kit as extra parts? 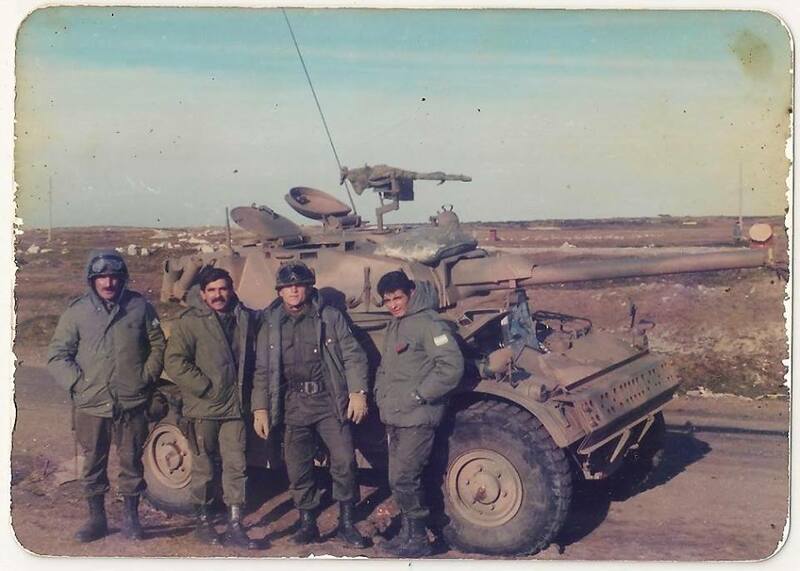 Thanks Gary by the data, I don´t have enough information about that time, in these years some of our soldier started to write about the campaign of Argentinian army on the Malvinas. 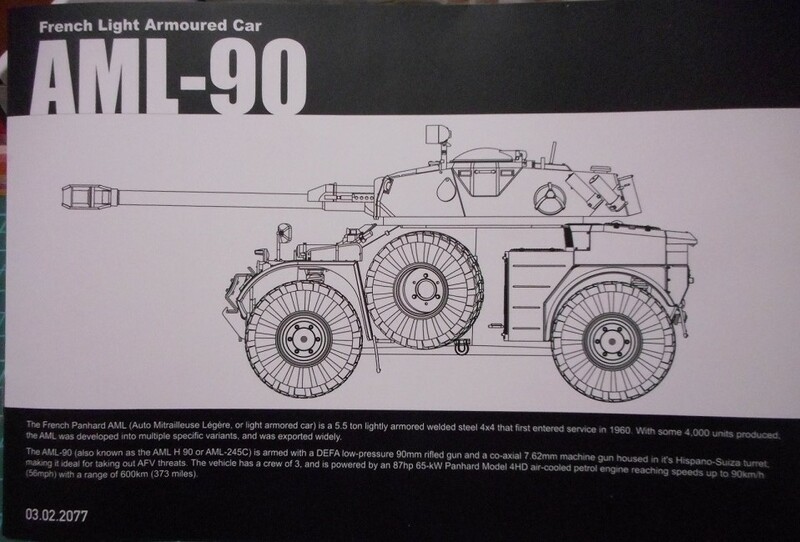 Here's some of the AML-90s in various lines and rows post surrender. This MG is a French-built 7.62mm MAS AAT-52 (Arme Automatique Transformable Modele 1952). 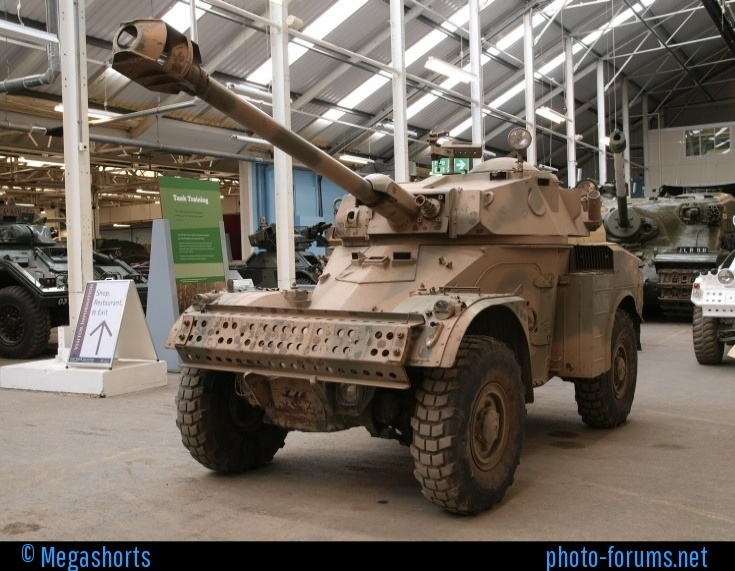 The Panhard Squadron was organized on the basis of two AML Panhard Sections of the Armored Cavalry Detachment 181. 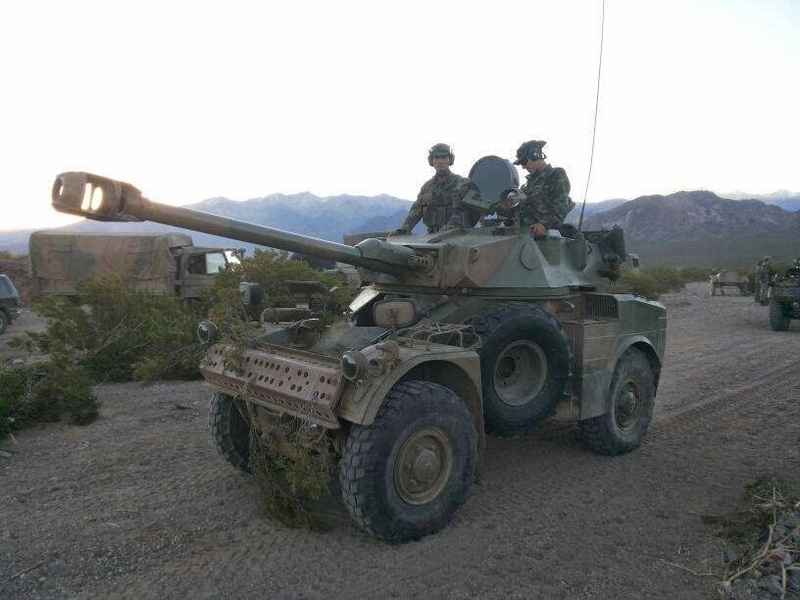 It was the only Argentine armored element that operated in the Malvinas Islands after its reconquest, since the LVTP 7 participated in the disembarkation on April 2. of the Marine Infantry. 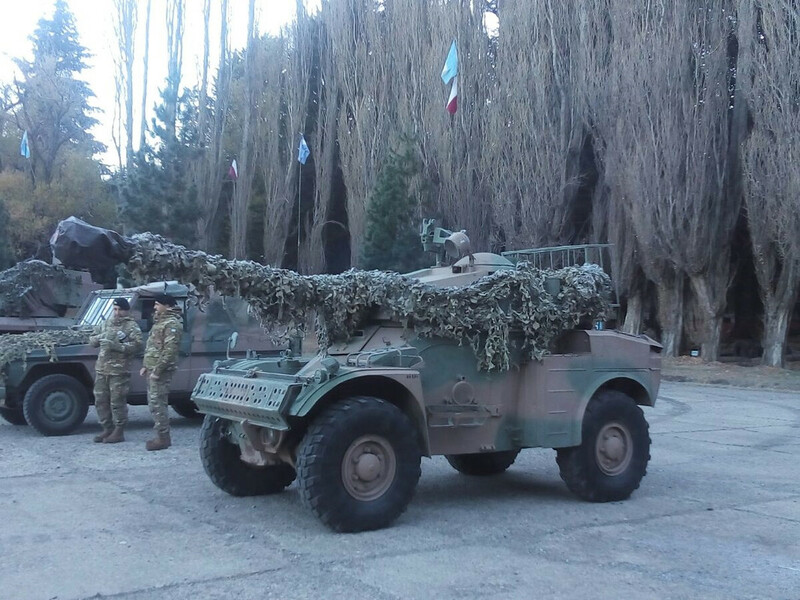 Arrived the first vehicles the 9 of April, immediately constituted in armored reserve of the Brigade of Motorized Infantry IX. 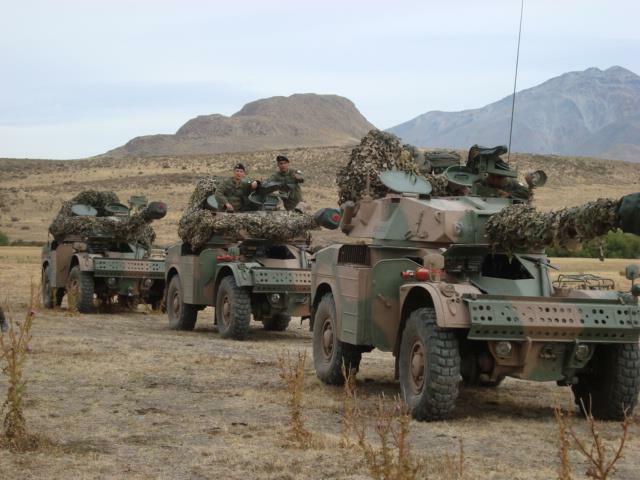 To the eight AML of this Detachment, they added two vehicles each, the Cavalry Exploration Squadron 9 and the Armored Cavalry Exploration Squadron 10. Between May 1 and June 12, Panhard Squadron remained almost all the time occupying a reserve area in Moody Brook. This area was subjected to frequent shelling by naval artillery and enemy aircraft, including a cluster bomb attack. 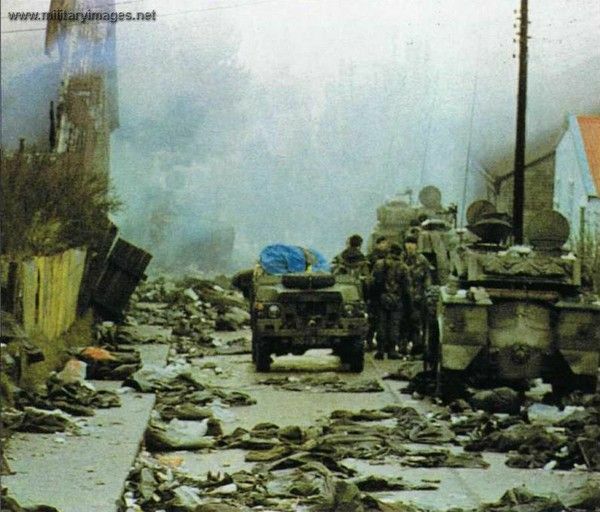 None of the vehicles was damaged by enemy fire. On June 12, after the fall of the positions at Mount Longdon, the reserve area began to receive intense fire from the British field artillery. As a result, the abandonment of this area was ordered, with vehicles located further east, within the limits of the capital of the island. On June 12, 13 and 14, the Panhard entered the fray, striking with their weapons the British infantry advancing on Wireless Ridge and other approach avenues. In all cases they received intense artillery fire. The campaign ended with five wounded, all of them from the Detachment (1 Officer, 1 Sub-officer and 3 Soldiers). Are you sure of the denomination HP? 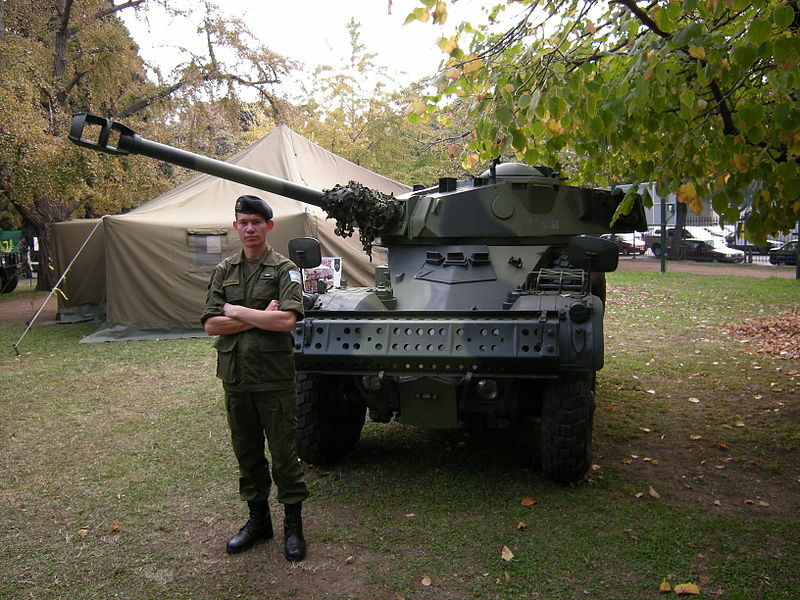 The AA52 was only issued in 7.5mm. The AANF1 was 7.62mm and came in automatic rifle or MG versions. Hi Omar. 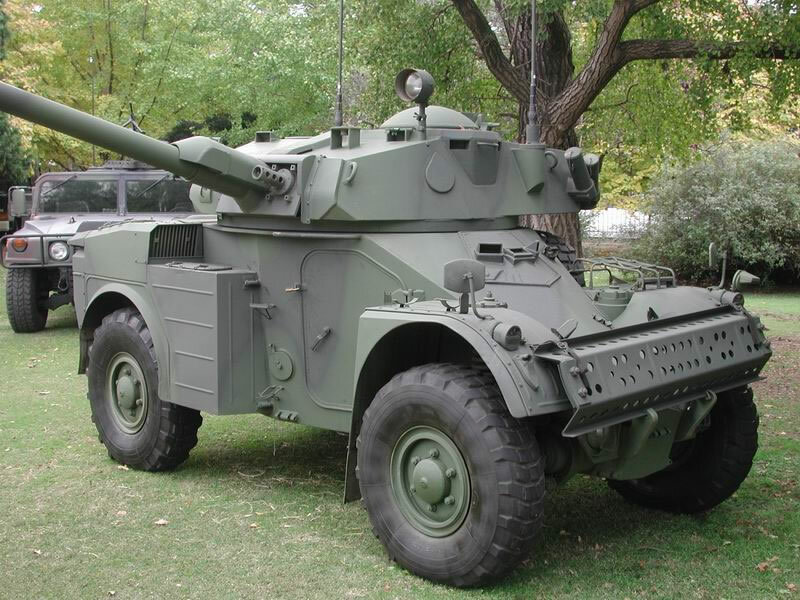 Just to be aware, we also 'borrowed' some Mercedes jeep type Argentine Army vehicles (G Wagon?) that we used as run-arounds in the days after the war ended and all the equipment was virtually 'as new' condition. I have no recollection whether it was factory new or the equipment had been freshly painted and well serviced prior to being transported from Argentina to Port Stanley? Perhaps the historians will know? 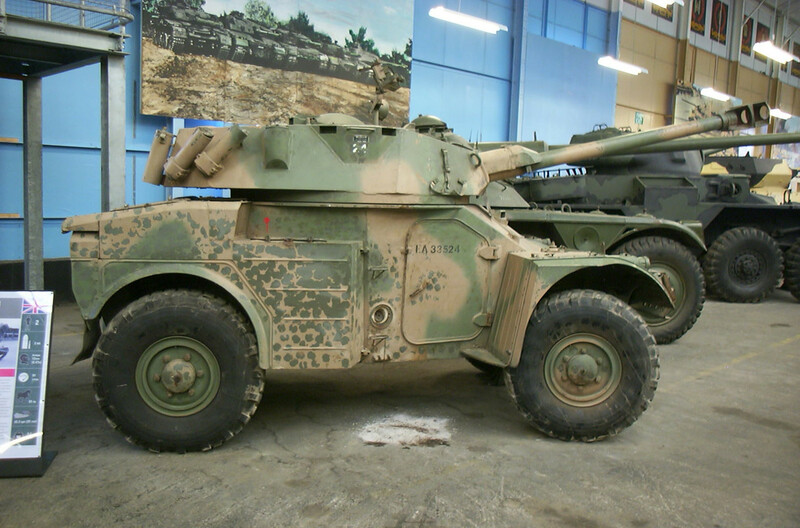 Likewise the armoured cars in the pics were all very well maintained - no 'chipping' or rust on any of these machines! 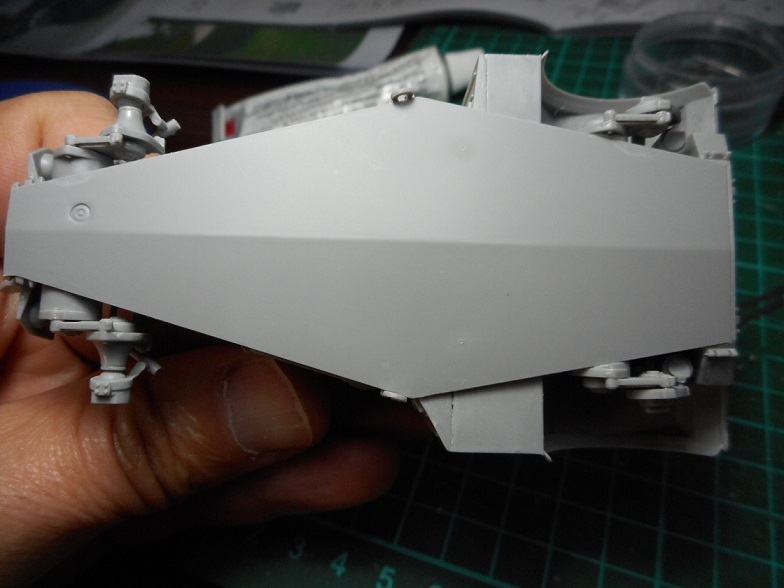 As such, I would keep weathering on your model to a minimum ( for artistic licence) or non at all (for reality).